Love the Chicken Salad at Chick-fil-A? Then here is a recipe for you!! 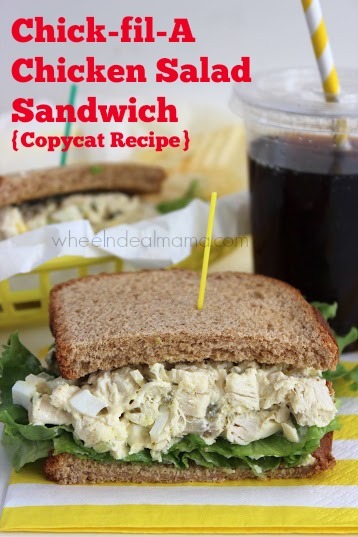 Simple instructions to make the delicious Chick-fil-A Chicken Salad Sandwich at home! Be sure to follow me on Pinterest and check out my other recipes! 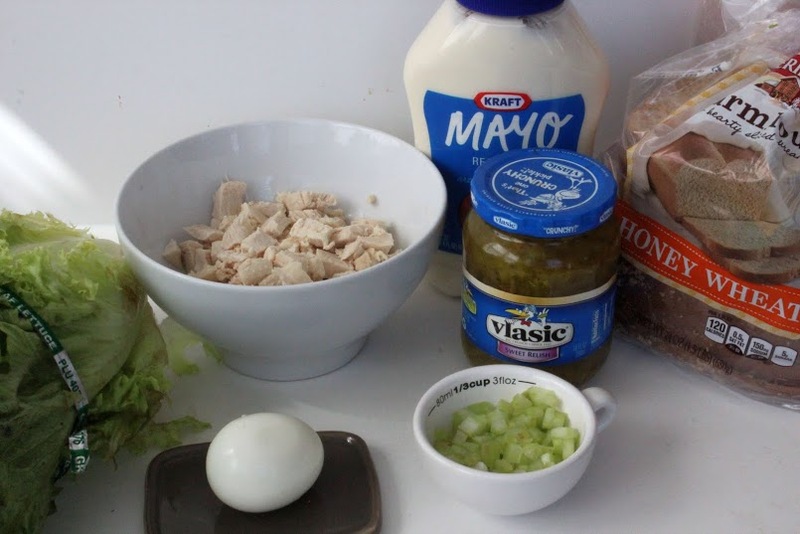 Mix your chicken, celery, egg, mayonnaise, relish, salt and pepper in a large bowl. Divide chicken salad evenly over the lettuce and enjoy! How many sandwiches does this recipe make? I imagine 2, correct? Thanks! I’m making 30 for my daughters first birthday party on Saturday, Yay! I’ve never had their chicken salad but love their chicken sandwiches. Especially the spicy one! I’m pinning! I would just love this Chicken Salad! Thanks so much for sharing your awesome recipe with Full Plate Thursday this week. Have a great weekend and come back real soon! Your recipe was one of the most highly viewed at last week’s Wonderful Wednesday Blog Hop and will be FEATURED at the party this week. See you there! My kids would go crazy for these sandwiches! Thanks for linking up with What’s Cookin’ Wednesday! Actually ChicfilA uses the fried chicken breast with the breading cutoff for the “cooked chicken” in the chicken salad recipe. That’s why it’s so good! !